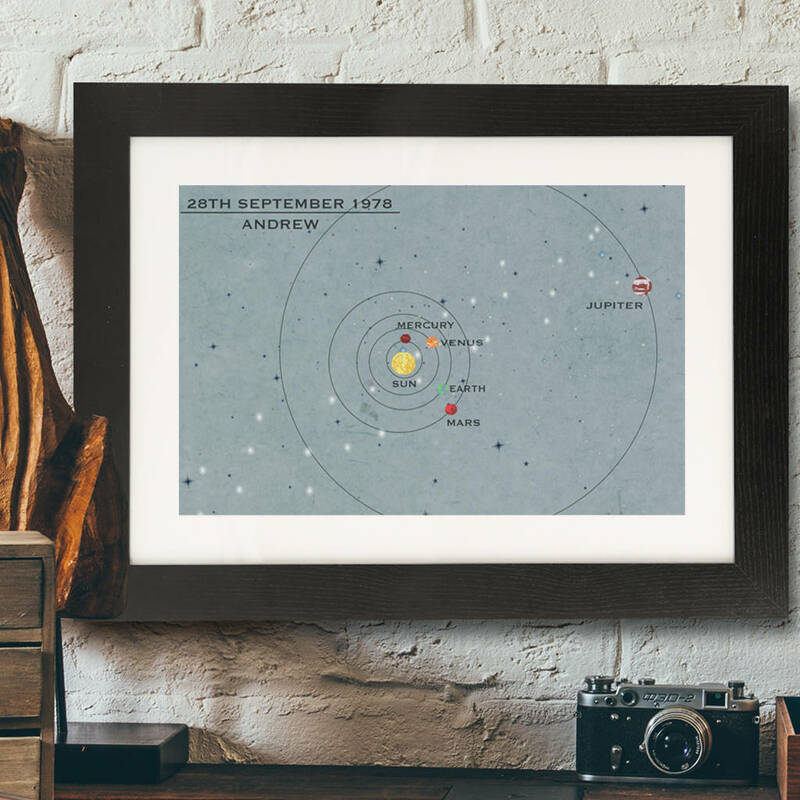 Perfect for any budding space enthusiast this space themed print features the planets alignment on your chosen date. Designed based around the alignment of the planets in the solar system this print allows you to chose a date of your choice. 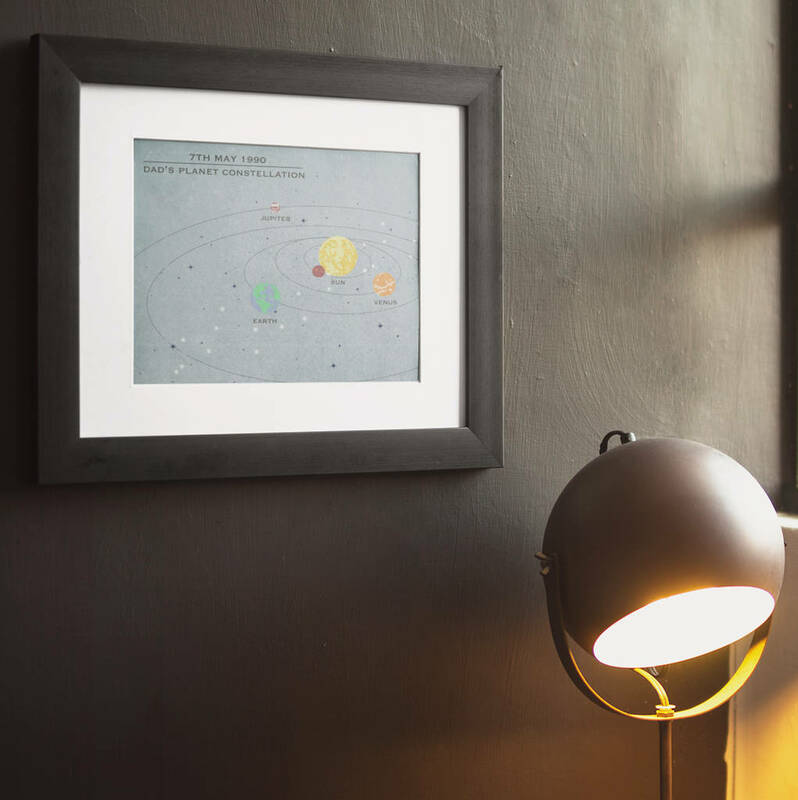 We then calculate the alignment of the planets on that specific day and re-create the planet positionings on a print. Whether it is a loved ones birthday, an anniversairy gift, or a date which has sentimental value between you and a friend, this gift is a unique way of showing them you are thinking of them. 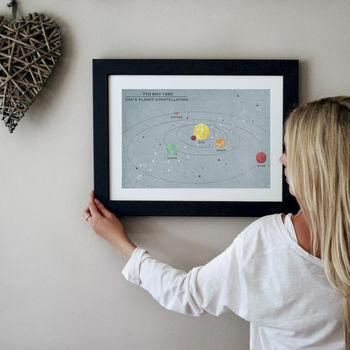 Ideal for a child who is interested in space, it makes a fun and exciting piece of wall art. All the key planets of the solar system feature on this print - Jupiter, Mars, Mercury, Uranus, Pluto, Jupiter, Earth, Saturn, Neptune, and the Sun. 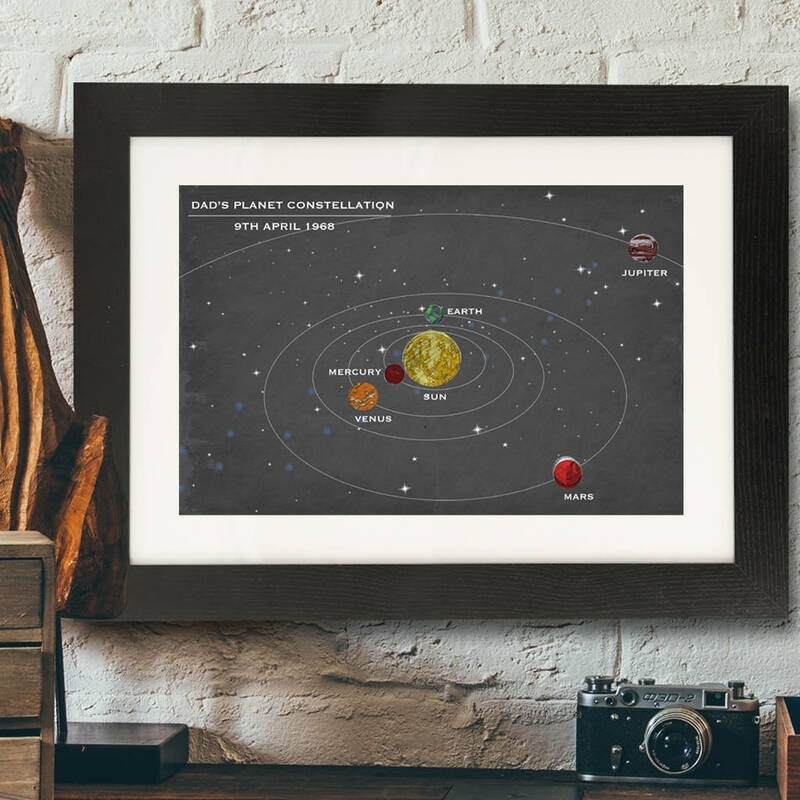 The planets are constantly moving so each date provided will produce a completely unique print! Choice of either a black or white frame. Choose the date you desire, a background colour choice and finally the perspective - either a side angle or a birds eye view and we'll do the rest.